It Works! 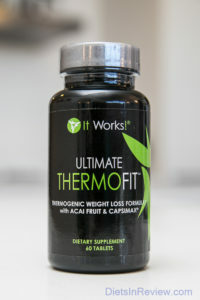 is a line of products for weight loss offered via supplements, wraps, cleansers and a greens drink. The combination of all these is intended to provide well-rounded weight loss benefits. This system provides a cleanser to help remove toxins, a green powder to detoxify and improve digestive health, a weight loss pill for boosting metabolism, and a wrap that tightens and tones the body. These 4 products are said to be the company’s best for overall results. The highest rated diet plan that our experts have found was the 18Shake Diet. 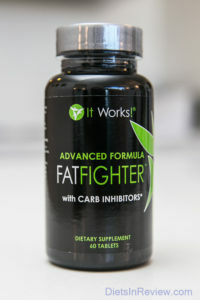 It offers a metabolism boosting diet pill and an appetite suppressing meal replacement for combined weight loss benefits. To learn more information about the 18Shake Diet click the link provided. BHT: Food additive used to preserve and stabilize ingredients. The Center for Science in the Public Interest has placed it in its “Caution” category due to fears of potential harmful effects. These studied show it could be potentially dangerous to overall health. Blue Green Algae (Spirulina): Found in salt water and some fresh water lakes, this ingredient is a source of vitamins and minerals. Therefore it needs to be tested to ensure it is extracted from clean waters. It’s not required by Federal law to make sure that this ingredient is actually extracted from a safe source. The makers of It Works! fail to mention whether or not they source this ingredient from a clean source. They also add 2 versions of it in their system. Our experts have rated the top ranked diet plans for weight loss in the link provided here. Not enough real science is available to help show if this ingredient is truly effective. Sodium Benzoate: Preservative found in foods and cosmetics. When this ingredient is mixed with ascorbic acid a form of vitamin C which is found in It Works! products, it can form a carcinogen known as benzene. This can lead to serious damage to health. This preservative has been shown to be potentially damaging in many ways. Urea: A compound that is found in urine and other body fluids. It is often used as a fertilizer. It can be potentially damaging and is known to irritate the respiratory tract, skin, and eyes. Rapid heart rate, anxiety, and mood swings. Headaches, ill feelings, and nausea. Insomnia, inability to relax, and depression. Caffeine is not considered an effective ingredient for weight loss due to tolerance which reduces its overall effects. Follow the link provided to see a comprehensive listing of the very best weight loss diets. This water weight is not actual fat loss. There are many cheap ingredients including several preservatives which can cause damage to the body. Relying on these kinds of additives for weight loss is potentially unsafe to overall health. Their diet pill also relies on a caffeine source which is known to be only short lasting and not incredibly effective for weight loss. Overall there are many unwanted additives. 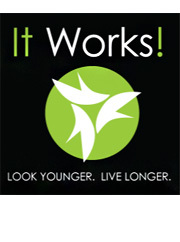 The Price and Quality of It Works! The price for a month’s supply of the diet pill, a blender bottle, 4 applications of the body wrap, 15 days of the green blend, and 2 days of the cleanse. The retail price is $245 for average customers. This is an extremely high price for products that contain potentially harsh ingredients. There are preservatives, cheap additives, caffeine, and as you’ll see in the “Customer Opinions of It Works!” it has been reviewed poorly. There are questions about the effectiveness of the wraps, the few portions for each product, no signs of vitamins and minerals from the greens powder, and the diet pill has a lot of ineffective ingredients. For a list of the highest rated diet plans click the link provided. This has been a constant issue mentioned by several customers. There are currently 331 complaints listed on the Better Business Bureau. Most issues have to do with billing and problems with the actual products as well as service. To see a comprehensive list of the highest rated diet plans click on the link provided here. Customer Opinions of It Works! People often complained about a lack of weight loss and that they felt that many parts of the system are useless. Many criticized the wrap as having no effect. The cleanser was a source of side effects such as nausea, dizziness, and ill feelings. The diet pill also leads to anxiety, mood swings, headaches, and other symptoms. There were mostly complaints and customers also added how this plan was incredibly expensive for what’s offered. To see a list of the highest rated diet plans click the link here. How Does It Works! Compare? Conclusion – Does It Works! Work? It Works! does have some useful ingredients such as raspberry ketones and gymnema, but there are many preservatives and potentially harmful additives included. 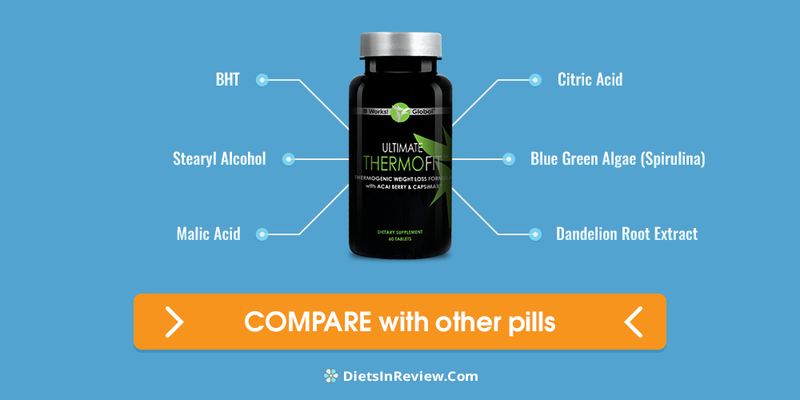 The entire system has flaws with the green drink not listing the vitamins and minerals, the diet pill containing caffeine, the wrap which is not proven to affect weight loss, and the cleanser which can promote side effects. Customers have also complained that they felt this system was greatly overpriced, and that it failed to lead to any noticeable weight loss. 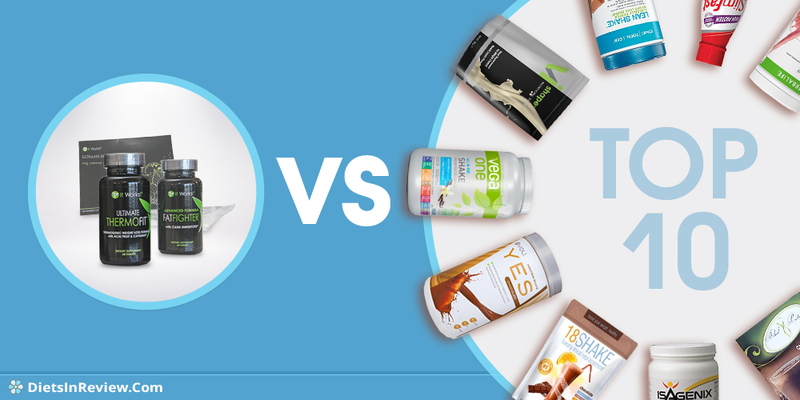 Our experts have found that the most effective diet plan is the 18Shake Diet. It offers a combination of an appetite suppressing meal replacement which can keep hunger from returning for a minimum of 2 to 3 hours, and a diet pill for well-rounded weight loss results. Customers mention on their official website through testimonials just how effective the diet is for weight loss. There are also no preservatives, stimulants, fillers, binders, or any unnatural ingredients. The 18Shake comes backed with a full 30 day money back guarantee. Returns are allowed without having to provide a reason and with no questions asked. Learn more information about the 18Shake Diet click on the link here. After using it for 2 weeks, I didn’t see any results, and had the a severe case of constipation, and this was along with drinking 5 – 12 oz bottles of water a day! When I called to see about stopping my auto-ship, I was told I had to be committed to 3 months, of purchasing something that doesn’t work for me, causes me constipation, and I needed a doctors note in order to discontinue. REALLY! I was the doctor, I knew when the problem started, and I know when it ended, when I started and when I discontinued taking these products. So, ok, fine. BE SURE TO READ AND GET WELL INFORMED, BEFORE COMMITING TO THIS. IT IS NOT FOR EVERYONE. I’m sorry to say but IT DOESNT WORK!!! Waste of money for me also I got the wraps didn’t work I’m Try the coffee doesn’t work for me I’m so unhappy waste of money!! !